As noted by Fierce Wireless, T-Mobile has apparently entered the banking business. I suppose this may be the most "Un-carrier" move by a wireless provider ever. Yet, this isn't even the first time T-Mobile attempted such a move. Back in 2014 it offered a similar service called Mobile Money. That product quickly failed when it was shut down roughly two years after launching. So what will make it different and successful this time? We shall see. What Does T-Mobile's Banking Service Entail? T-Mobile's new banking service is called T-Mobile Money. It is a high interest rate checking account with a current APY of 1%. Qualifying T-Mobile customers can obtain an APY of 4% on account balances of up to $3,000. Customers must also deposit at least $200 into their account every month. Subscribers also need to register for the perks with their T-Mobile ID, which is the ID or username that they use to log into their wireless accounts. Those that don't meet those requirements will get the standard APY rate of 1% for the calendar month. 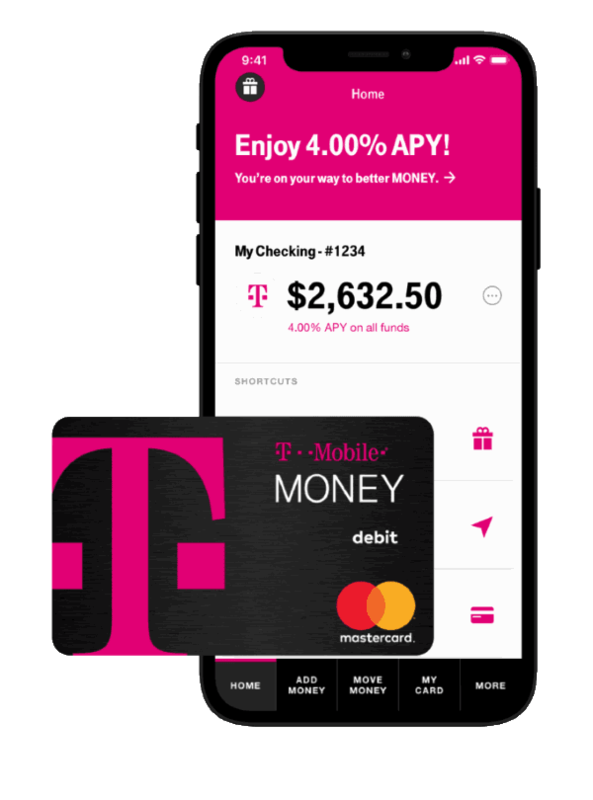 Besides the minimum 1% APY being offered which is well above the industry standard for a checking account, T-Mobile hopes to entice subscriber signups by offering a few other differentiating features. Qualifying T-Mobile Money accounts will come with "no" overdraft fees. T-Mobile postpaid customers that deposit at least $200 into their checking account each month will get up to $50 in overdraft protection. Customers will then get 30 days to pay back the balance before they lose their overdraft protection. T-Mobile Money checking accounts also come with no account fees, no maintenance fees and no minimum balance requirements. Customers will also have access to a network of over 55,000 no fee ATMs worldwide provided by the Allpoint Network of ATMs. Unlike some other banks though, T-Mobile Money will not offer offer rebates on fees charged from use of out of network ATMs. Customers of the bank will also get a debit card with an EMV chip, and the ability to use their account with the mobile wallet of their choosing. Mobile wallets include Apple Pay, Samsung Pay and Google Pay. Online bill pay and transfers to external accounts are supported. Accounts are FDIC insured for up to $250,000 and come with 24/7 customer support. T-Mobile Money is being offered through a partnership with BankMobile. BankMobile touts itself as being the first completely digital bank and it has been working with T-Mobile on the product since 2016. Timing Of The Product Launch A Bit Strange? The idea of a checking account being offered by a wireless carrier seems a bit strange. The timing of the launch may also be a bit odd. T-Mobile is currently trying to get government approval for its merger with Sprint. T-Mobile and Sprint have argued that the merger needs to happen so that it can more rapidly build out a 5G network and be competitive in the industry. Of course one could ask if T-Mobile is worried about rapidly building out a 5G network why is it potentially wasting resources on new services such as T-Mobile Money and Layer3TV?